So much talk about the Tesla Model 3 and even the Model S means that good Model X reviews seem few and far between. 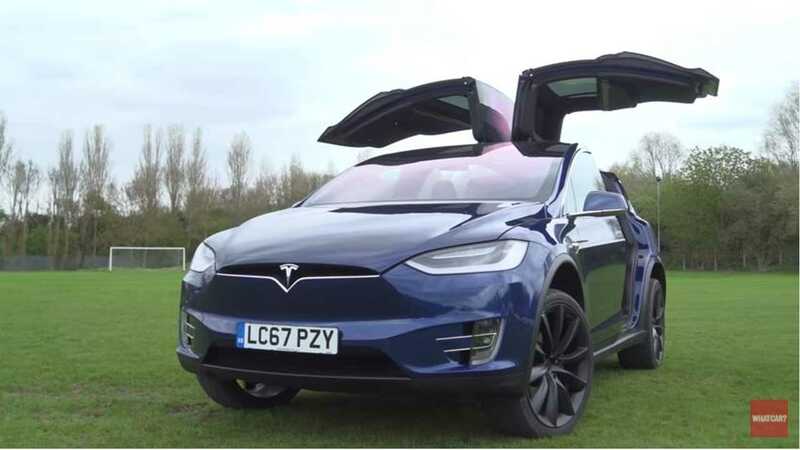 It's been awhile since we've published a review of the Tesla Model X, aside from Nico Rosberg's recent share. This doesn't mean it's not a fantastic vehicle in the eyes of many people. It may not have quite the sporty curb appeal of its Tesla siblings, but it offers plenty of acceleration, loads of versatility, and some pretty amazing features. What Car? dives deep into the Tesla Model X to help potential owners with their buying decision. This review touches on the basics, like range and features, while also demonstrating Autopilot, and those funky Falcon Wing doors. Are they practical? Despite the Model X's SUV designation, it's arguably more reminiscent of a minivan in its facade, as well as functionality. This is not meant in a negative way, although we're sure some will take it that way. Instead, it means that the Model X takes the practicality and appeal of a minivan and dials it up about 100 notches. C'mon, it has class-topping cargo space, the best air filtration system on the planet, and can blow away supercars off the line. The Model X is truly in a class of its own. How far will it go on a charge? What is Autopilot and how does it work? How practical are those falcon wing doors? Is it actually a good car? Watch to find out the answers to all your Tesla Model X questions.